Summer is here and what better way to kick it off than a trip over to Alligator Alley! 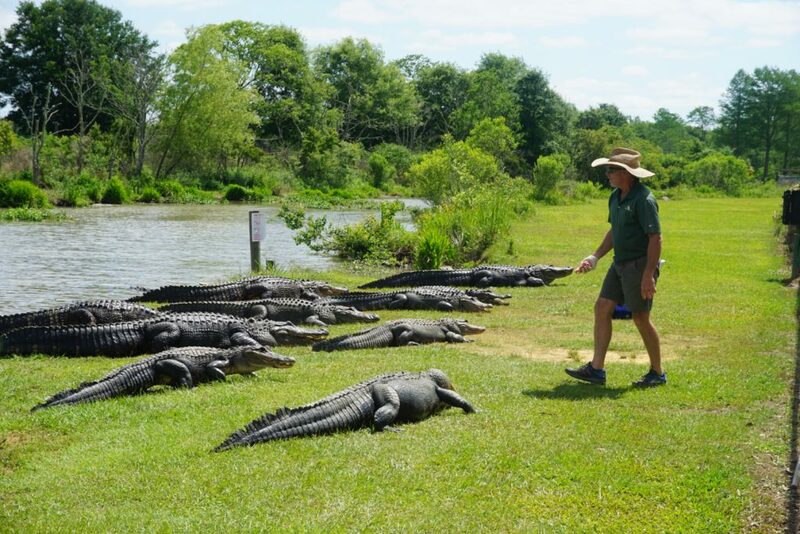 Whether you’re visiting for a birthday party, fun vacation attraction or just to get out of the house, our alligators are sure to brighten your day with their fiery personalities and impressive talents. Speaking of talents, you don’t want to miss our live performances – everyday at 11, 1 and 4! 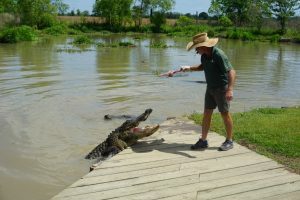 Also known as our live feedings, this special attraction really gets the alligators going and reels in a great crowd. With suspense, excitement and hungry alligators, we never know what to expect. If you’re a family full of thrill-seekers or just enjoy a good show, you should definitely make your way to Summerdale, Alabama for a visit. Give these alligators a round of applause for that impeccable performance! We give it five out of five stars! After the feeding, take a stroll down the boardwalk in the swamp to enjoy the shade and check out all 450+ of our scaly friends in their natural habitat. You might even stumble upon a few nests filled with alligator eggs if you make it out before the end of summer! So, why not treat yourself and your family to an experience to never be forgotten? Check out our hashtag to see our guests’ adventures and then start planning your trip to make your own memories. #AlligatorAlleyAdventure. Give us a visit, and we’ll be sure to provide you an adventure!